Thib's Outdoor Equipment & Trailers, LLC opened in March 2015 on Highway 26 North of Jennings, LA. We are family owned and operated. 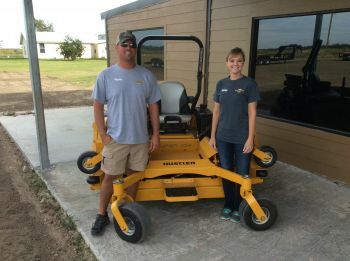 We opened with Hustler Turf, Ferris, and Toro lawnmowers, Echo/Shindaiwa trimmers, chainsaws, blowers, etc. We carry a full line of auto haulers, enclosed trailers, cargos, gooseneck, equipment trailers, dump beds and utility trailers manufactured by Pro-Pull Trailers. Modern Galvanized Ag equipment such as box blades, cutters, forks and etc. Call us for your lawn care or trailer needs, we offer pick-up and delivery service. We service all brands of lawnmowers, trimmers, chainsaws, etc. We are an authorized dealer for Kawasaki and Kohler.